After Hurricane Harvey wreaked havoc on Houston, the women leading some of the country's top companies were quick to aid recovery efforts. 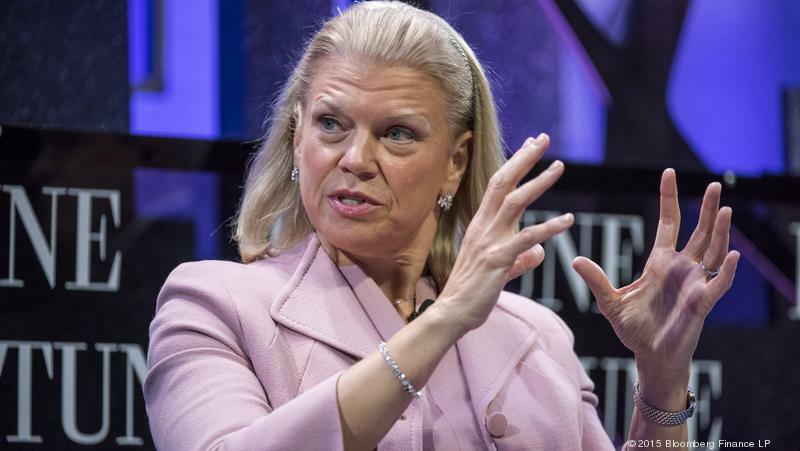 IBM, led by CEO Ginni Rometty, donated $2 million in cash and in-kind technology services, according to CNN Money. Funds from the company supported the American Red Cross and small businesses. Lockheed Martin donated $383,000 to the American Red Cross to support rescue efforts. CEO Marillyn Hewson also encouraged employees to donate to the Red Cross or Houston Mayor Sylvester Turner’s hurricane relief fund. General Motors offered $1,000 off any new Buick, Cadillac, GMC or Chevrolet purchased through Oct. 2 for those whose cars were lost to floods. The company, under CEO Mary Barra’s leadership, also donated $1 million to the American Red Cross to support disaster relief efforts across Texas and Louisiana, per GM Authority. PepsiCo and The PepsiCo Foundation gave a $1 million grant to the American Red Cross. At the start of the year, the Foundation gave $500,000 to the American Red Cross’ Annual Disaster Giving Program. "I'm proud that our people and our partners are coming together to provide critical support to help those in Harvey's path sustain themselves during the storm and rebuild in its aftermath," PepsiCo CEO Indra K. Nooyi said in a statement. Mondelez, helmed by Irene Rosenfeld until November, matched employee contributions to the American Red Cross, the Chicago Tribune reported. The snack company also sent thousands of cases of Wheat Thins and Honey Maid graham crackers to affected communities, per the Wall Street Journal. Campbell Soup Co. also shipped food to Houston, sending four truckloads of soup, Pepperidge Farm Goldfish and V8 juice, as well as trucks of baby food, according to the Wall Street Journal. CNN Money reported Campbell, led by CEO Denise Morrison, also made a $50,000 contribution to the American Red Cross and United Way of Greater Houston, and matched employee donations to the American Red Cross up to $25,000. Sempra Energy, led by CEO Debra Reed, pledged $250,000 to disaster relief assistance funds through the Sempra Energy Foundation. The Foundation also gave $75,000 to the American Red Cross Hurricane Harvey Relief Fund and $75,000 to nonprofit Americares. Reynolds America, led by CEO Debra Ann Crew, donated $150,000 to the American Red Cross, per CNN Money. Ross Stores Inc. gave $400,000 to the American Red Cross to help with relief efforts in Texas and Louisiana, per a news release. The company is also accepting customer donations at all stores through Sept. 16. "Ross Stores is committed to helping those in need, especially in the local communities where we operate our stores," Ross Stores CEO Barbara Rentler said in a statement. "We offer our heartfelt sympathies and thoughts to everyone who has been impacted by this devastating storm." Duke Energy sent 100 contractors to Houston from the company’s Tampa Bay operations to help restore power in the area, according ABC affiliate WFLA. Duke Energy CEO Lynn Good told the Charlotte Business Journal that 1,000 workers from the company's Midwest operations headed to the Southeast to prepare for Hurricane Irma, which knocked out power for 1.2 million Duke Energy customers. MEET OUR WOMEN BUSINESS OWNER OF THE YEAR FINALISTS!